I had posted on the Chennai Autos earlier. I am delighted that the Auto fare movement has succeeded at least as far as the new fares coming in. The enforcement will be a challenge as the drivers seem to have got used to doing nothing most of the time when not asking for 300% of the fare or thereabouts for every trip which they don’t seem to be keen to make anyway. The question is why must the government fix fares? Going forward why the government must fix the fares of fuel, power and others? Each time the government gets into this, it gets into a political logjam and populism precedes common sense and we end up getting into a trap from which there seems to be no exit. The government does not fix the price of gold or real estate and there seems to be no respite for buyers of either but surprise, surprise no one complains. Water which will become another scare commodity shortly is under-valued and consequently priced at ridiculous levels. To put it into perspective 1 litre of purified water sold in a bottle is 12 rupees while an average household using a 1000 litre tank per day for a year pays 1 Re or so every day. Water is just one instance there are many more. The government is getting into a tangle each time it does more than governance and ultimately there is no free lunch even if the freebies may give people a false sense of security, some one pays. Usually this someone is the friendly neighbourhood common man. Anyway coming back to the auto fares, I am eagerly awaiting the implementation and the eventual postponement of the deadline for meter resets. It does not appear practical, but I am willing to suspend my disbelief and watch. 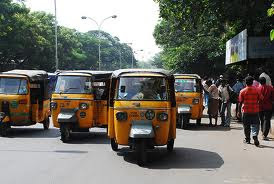 I am of the firm opinion that unless all the auto stands are scrapped, new fares will still become redundant as ever stand member will say “enga area ulla varadhey”. One heartening fact about the entire auto saga was the relaxation of permit laws which ensured that the vice like grip on the permits by the money lenders reduced considerably and was a real attempt at correcting the demand supply gap. Sadly it did not achieve more than that as it worked in isolation as the new auto drivers ended up joining a stand and they got sucked into the system. Why I am very frustrated with the stand system is because I have two stands in front of my house and I have to pay double the fare to engage an auto from either and a passing auto willing to ply for lesser rate gets bullied away. Since every stand exists in full violation of all rules usually encroaching public property because of the political colours they flaunt, this also may not change. Another glaring anomaly that will not be addressed is the Diesel autos that ply as share autos thereby denying genuine auto drivers their due. These vehicles are not just illegal but are a safety hazard as they pack in people like sardines in a can and throw all caution to the wind. They work as share autos, carry more passengers and they run on diesel and nobody seems to care. There are many more challenges and despite all the positives one thing comes to mind no party will alienate their foot soldiers and captive vote banks so I wait and watch if this will be a new beginning.